On Friday, July 11th, 2014, everyone stood by their televisions waiting to see another “decision” from LeBron James. Fresh off the heels of a 3rd NBA Finals loss, (2nd with the Heat in 4 seasons) many wondered if he, Chris Bosh and Dwyane Wade would stay together, or would he returned to his hometown of Cleveland and bring them their first title in over 50 years. There was no television special, there was no one-on-one interview, instead, there was an article released around noon on Sports Illustrated by Lee Jenkins. King James is coming home. Before the season began, there were two teams that were the favorites to come out of the Western Conference, the San Antonio Spurs and the Oklahoma City Thunder. During the preseason Kevin Durant got hurt and within the first month, Russell Westbrook was hurt. Suddenly the Thunder was no longer a threat. But suddenly the Warriors rose to the occasion. 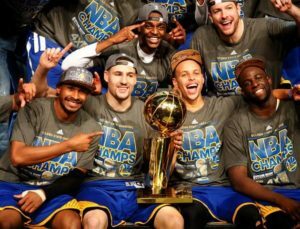 The Warriors, now with a new head coach Steve Kerr, were playing better basketball. They would go on to finish as the top seed and in the West become a favorite to win the title. After two consecutive years of the Heat vs the Spurs in the Finals, in 2015, fans saw two new teams square off for the NBA Championship. There was one common denominator, LeBron James (two if you count James Jones). 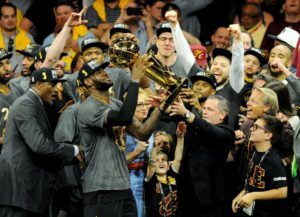 The Warriors took the title the first season while the Cavaliers came back in 2016 and defeated the record setting 73-win team in an epic rematch. 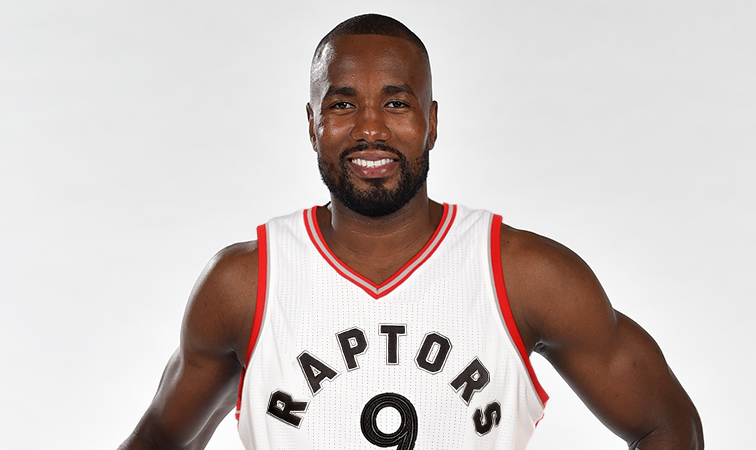 In the Eastern Conference, you have the face of the NBA. A man who came into the league and was deemed The Chosen One. 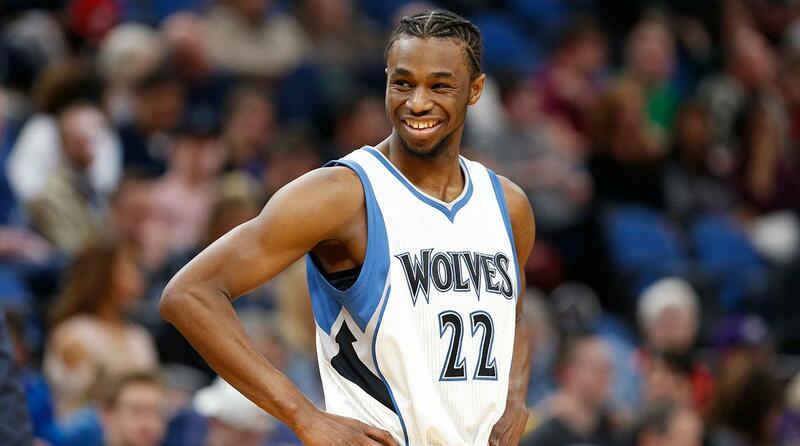 He could have been the biggest draft bust in history, instead, he exceeded every expectation laid out for him. When he left to go to Miami, he was vilified for joining his Superstar friends to make a superteam. However, after learning how to win, he returned home and fulfilled his promise. He delivered his city a championship. In the Western Conference, there is a guy who many believed his ankles were made of glass. While he had one of the best three-point strokes we have ever seen, his injuries seemed to slow him down and prevent him from being great. Suddenly, those ankles remained intact and he became known as the baby-faced assassin. He also became the first-ever NBA unanimous MVP. And because of his character, men, women, and children love him. 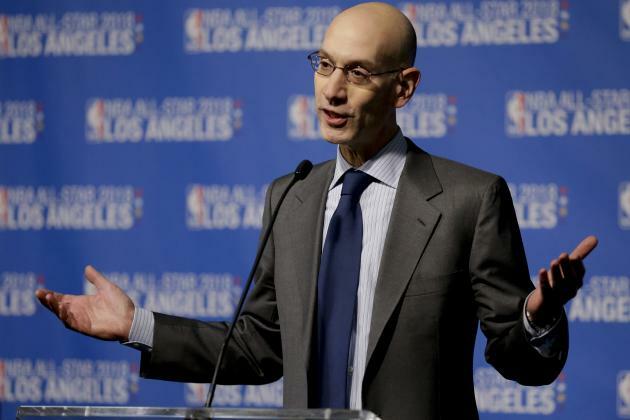 But wait, there is more to the Western Conference story. A guy who reached the NBA Finals early in his career won an MVP and coined the phrase, “You The Real MVP” has now joined the team the fight. His team was the only team to have the reigning Western Conference Champions on the ropes during their three-year run when they were leading three games to one. Suddenly things fell apart and this guy who was loved by many and seen as the only threat to the guy in the Eastern Conference suddenly became the bad guy when he joined the team that he could not beat. Say what you want, but now he is playing in his second NBA Finals. Now we get ready for round three. What is very interesting is, both teams have won the titles on their opponents home floor. Will that change? Let’s book it and find out. 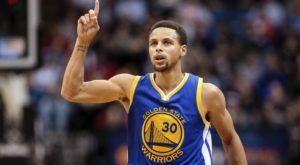 The Warriors enters the NBA Finals undefeated in the NBA Playoffs. the last team to do so were the Los Angeles Lakers in 2001. However, the Lakers dropped Game one in overtime to the Philadelphia 76ers. We all remember that night when the now-Cavs coach Ty Lue was stepped over by reigning MVP Allen Iverson. 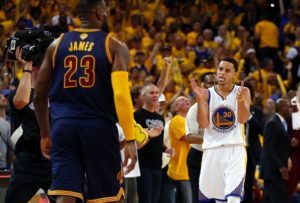 There will not be any step-overs, but the Warriors will take Game One and raise the question for the next 2 days, can they win the title going 16-0? 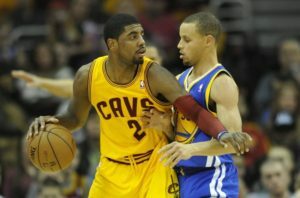 In Game two, the Cavaliers will silence that noise when they come back out swinging. 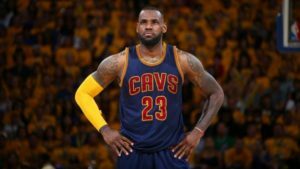 The question going into this year’s NBA Finals is, “Will LeBron James pass Michael Jordan?” After Game two, that question will receive more buzz after James dominates the Warriors on their home floor. Game Three, the series will shift to Cleveland and LeBron and Kyrie will put the team on their back and use their home crowd to take the series lead over the Warriors. 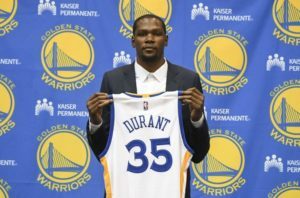 Now everyone wonders did Kevin Durant make the right decision? 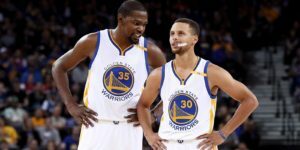 Game Four, Kevin Durant and Steph Curry says it’s their turn. They put on a performance and dominate the Cavaliers at home. We are tied at two games and the series will shift back to Oracle. 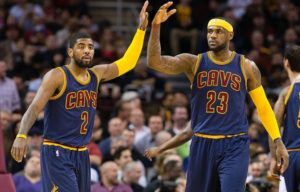 Going into Game Five Kyrie Irving and LeBron James knows that they do have homecourt advantage in the series and if they want to maintain it, they must win this game. On this night, they call Kevin Love’s number and he delivers and suddenly the Warriors face elimination for the first time in a year. 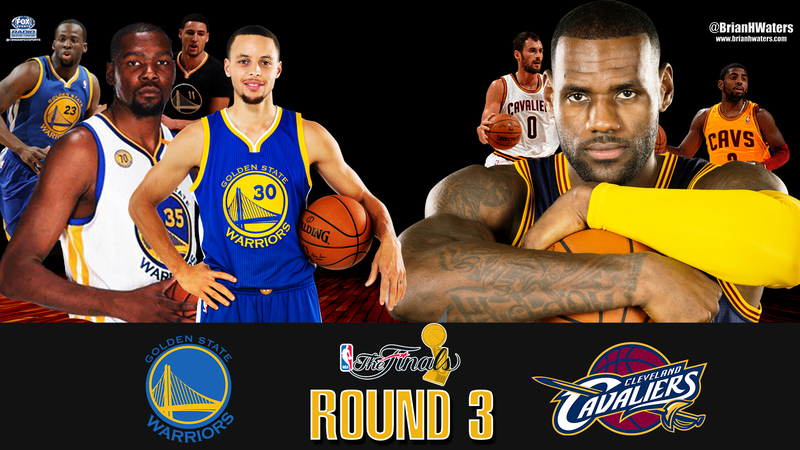 Game 6 comes down to who wants it more. 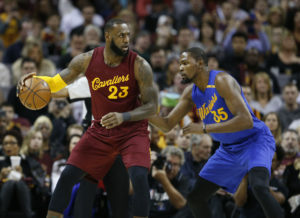 LeBron James and Kevin Durant gives us an epic battle. One for the ages. We watch these superstars go head to head and ask, does this have to end. Kyrie and Steph will not be denied either. We see a series of crossovers and three-pointers knocked down and before you know it, we are in overtime. As overtime approaches, fatigue starts to set in. 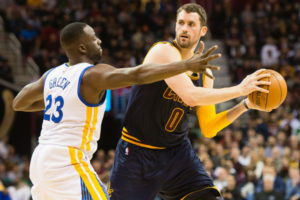 Draymond Green and Klay Thompson dig deep too but so does Kevin Love and J.R. Smith. The Land is rocking and with time expiring, LeBron, with Durant on his face, takes the biggest jump shot of his career and as the buzzer sounds off, time seems to stop fo everyone in Cleveland and Oakland. NOTHING BUT NET! 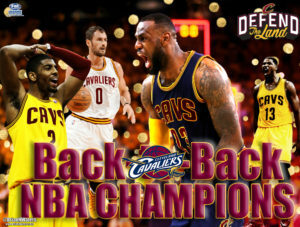 The Cleveland Cavaliers are back to back champions!